The Challenge Roth is one of the most popular triathlons worldwide and is held in July each year. After the participants leave the water they have to ride about 180 kilometers. 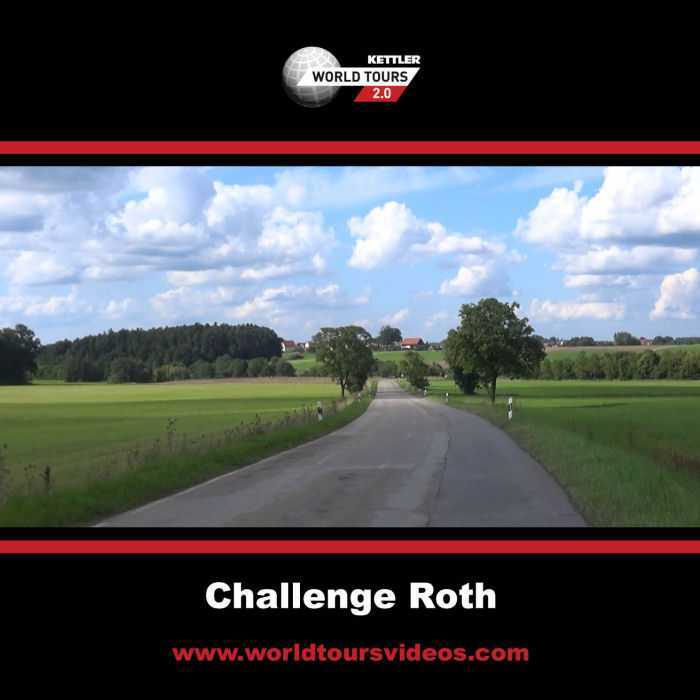 This World Tours Video contains one of the two rounds of the cyclingcourse with the finish in Roth. The bike course of the Challenge Roth is fairly flat and contains only one real short climb.